The creator of 'Breaking Bad' Vince Gilligan is working on a two-hour movie based on the popular AMC television series, a person familiar with the production told USA TODAY. "Breaking Bad" is returning, somehow. Vince Gilligan, creator of the AMC TV series, is writing and directing a two-hour "Breaking Bad" spinoff about to get underway, a person familiar with the production, but not authorized to speak publicly about it, confirms to USA TODAY. The film will begin shooting in Albuquerque, New Mexico, the setting for the "Breaking Bad" series, in mid-November and extend through early February, according to the Albuquerque Journal, which broke the news of the project. It's unclear whether it will be released theatrically or sold to a TV network. Filmmakers had requested tax breaks for the film with the New Mexico Film Office under the secretive title of "Greenbrier" to avoid attention, according to the Journal. The New Mexico Film Office had no comment about the "Breaking Bad" film. But an announcement from the office's director stated, "We are happy to welcome 'Greenbrier' and Sony Studios to New Mexico." The release described the plot of “Greenbrier” as a story that tracks the escape of a kidnapped man and his quest for freedom, but those details could not be confirmed. The TV series ended its five-season dramatic run in 2013 with the death of Walter White (played by Bryan Cranston) on the floor of a meth lab. What's not clear is the story connection to the original "Breaking Bad" series. Gilligan created the prequel "Better Call Saul" featuring lawyer Jimmy McGill (Bob Odenkirk), who later became the "Bad" character Saul Goodman. Also not stated: which, if any, of the series' stars – including leads Cranston (as White, the high-school chemistry teacher turned drug lord) and Aaron Paul (as his often-reluctant accomplice Jesse White) – will return. Both are working on other projects. Cranston called into Wednesday's "The Dan Patrick Show" to talk about his Broadway return in "Network" and fielded questions about the movie project. "Yes, there appears to be a movie version of 'Breaking Bad,' but I honestly have not even read the script," Cranston said on the syndicated radio show. "I'm excited about it, because it's 'Breaking Bad.' 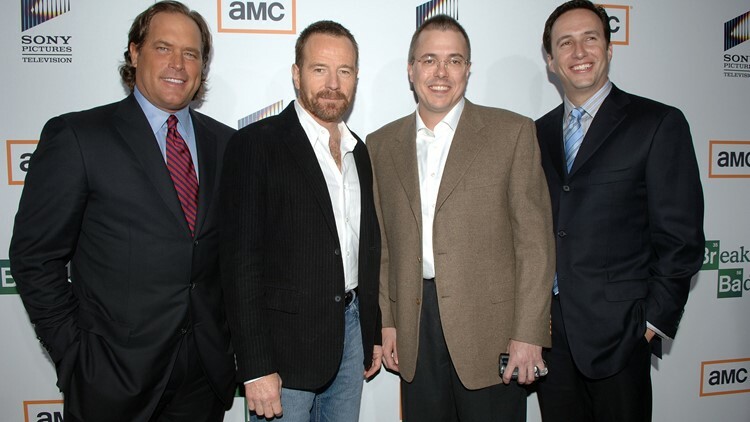 "
"There's a question of whether or not we would even see Walter White in this movie," Cranston added. But the star said he would "absolutely" be interested in appearing in the film "if Vince Gilligan asked me to do it. He's a genius." As far as the movie's plot, Cranston chose his words carefully. "There's a lot of people who felt they wanted to see some sort of completion to some of these storylines that were left open," he said. Cranston noted that the project would follow "at least a couple of the characters who were not completed as far their journey."